Laser Hair Removal Risks are Often Overlooked. 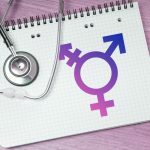 Thirty-five states consider laser hair removal to be the practice of medicine. The following is a scandalous example of lack of informed consent. A client was burned who had no idea that getting laser hair removal to remove pubic hair could result in serious burns of her labia. Her procedure was done in a plastic surgeon’s office by a nurse. Laser Warning: The following is what can happen in inexperienced hands. Viewing this is not for the faint at heart. The following center did a Brazillian laser hair removal job when the person was tanned. They subsequently went out of business. Just do a Google search and click on images to see more shocking evidence of botched laser hair removal jobs. Would you trust your face to an inexperienced laser technician with little or no experience? But how can you know? Do some research. Has that office just recently open in the past couple of years? When you receive a treatment, do you get the same laser operator each time? On the other hand, every time that you go, do you get different technicians with varying levels of experience? Facial scarring has occurred from laser hair removal but is extremely rare in experienced hands. We have the longest experience of doing laser hair removal in our city. That means a lot! Consider what Dr Roy Geronemus, MD, clinical professor of dermatology at New York University Medical Center, said about laser hair removal. It behooves you to do research and careful investigation. 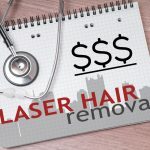 You should not make decisions when considering laser hair removal based on convenience or cost alone. Dr. Alam stated in an NBC news.com article by Genevieve Pittman from Reuters on Oct.16,2013. If wrong settings on the laser are used, the hair may not fall out. If the laser operator does not use strong enough settings, you won’t get the maximum hair reduction. If the operator is not experienced or unethical, they could charge you for treatments that would never possibly work. That means that if you have blond, red, or gray hair laser hair removal can never work for you. 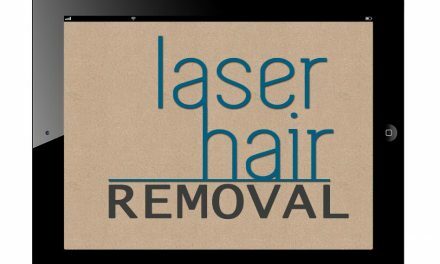 Laser hair removal works on people with dark hair and light skin. As a trusted doctor’s office in our community, we will tell you if you are a good candidate for laser hair removal or not. In addition to the safety risks, there are financial risks if you buy a frontloaded-prepaid package. There is a significant risk that the national laser chain will go bankrupt. You will never see that money again. Because it really happened just a few months ago. American Laser Skincare had 132 offices throughout the country. Many unsuspecting people were abandoned and left with obligations to pay thousands of dollars for laser treatments that they never received. Many had their credit ratings ruined. 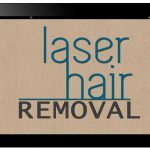 Read more about laser hair removal regrets. Please read the following review written by a patient in a Google Review by an angry client who visited a laser chain located right here in our Pittsburgh. She described her experience as “Awful”. She felt that her consultation was rushed. She said that they were pushing papers in her face. She told them that she did not want to finance through them. They threatened her with a 30% cancellation fee if you change your mind. This client said that she went to a competitor who was cheaper. She was also told to return a week after her scheduled follow up because there were not enough dark hairs to be effective.She stated that she was very upset with their practices. The new clinical director at this chain office was a personal trainer and sold real estate before her two week training to become the clinical director. No wonder the client felt angry. If you go to a laser chain, they push you to take out a line of credit on the spot when you sign up for their package deals. That is unethical. Medical treatments should not require that you sign up for a credit card with interest payments. Ruining your credit for cosmetic procedures is immoral. We do not offer a credit option in our doctor’s office. We don’t sell no stinkin’ hair removal packages. Packages are unethical in my opinion because people often don’t need or use all of the treatments in a package. Paying as you go is safer and costs less. Period. When choosing a facility for laser hair removal don’t shoot yourself in the foot. Don’t ever feel pressured to sign on your first day to any office. If someone says that the promotion that they are running ends that day,just walk out and leave. That place is not to be trusted. It’s crazy. People are more interested in Kim Kardashian’s derrière than the new declaration from ISIS of a caliph. Be aware that there are risks having laser hair removal. Laser hair removal is the second most commonly performed cosmetic procedure for a good reason. Risks of laser hair removal are negligible when dealing with an experienced laser professional. To be blunt, in the hands of a novice, that is not true. Beware of national chains that have just recently opened their doors. Their laser operators do not have the experience that we have. Lasers are not like point and shoot cameras. Bad things like burns and scarring can and do occur in the wrong hands. We have the longest experience doing laser hair removal in the city. We are the best place to have laser hair removal in Pittsburgh. You will be in good hands with us. We are a respected physician’s office and have been doing laser hair removal since 1999. NextIs There a Laser hair Removal Image Problem?